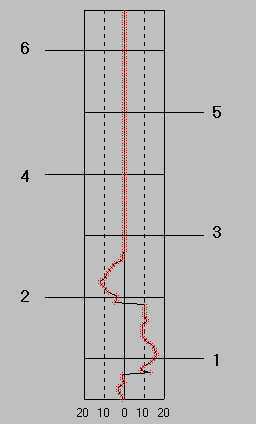 This link has been added to the left column information links. 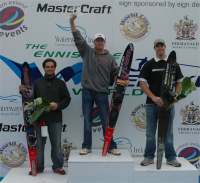 2005 was a tremendous year for new records which included breaking the long standing slalom record of 1@9.75 by Chris Parrish, not once, but twice. At a recent meeting with the Organising Committee IWSF Vice-President, Alain Amade, discussed the possibility to add Water Ski to the 2009 Mediterranean Games in Pescara/Italy. 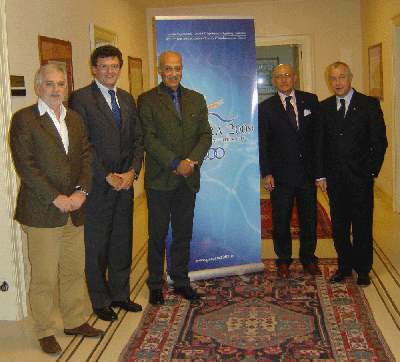 Mr Raffaele PAGNOZZI (Sec Gen of the CONI), Alain AMADE, Mr Amar ADDADI (President CIJM), Mr Silvio FALCIONI (President of the FISN) and Mr Sabatino ARACU (President of the COJM). 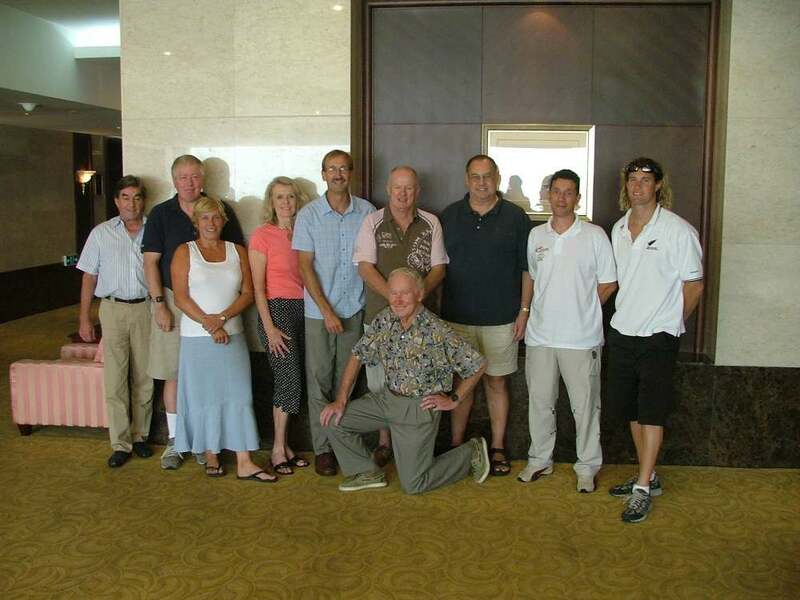 15Dec05 World Barefoot Council publishes new rule book for 2006. 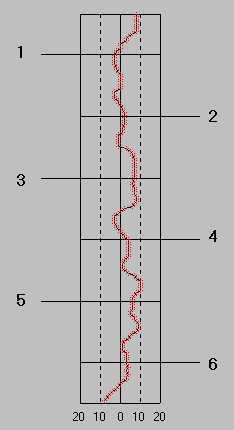 The new version becomes effective on 1 January 2006. 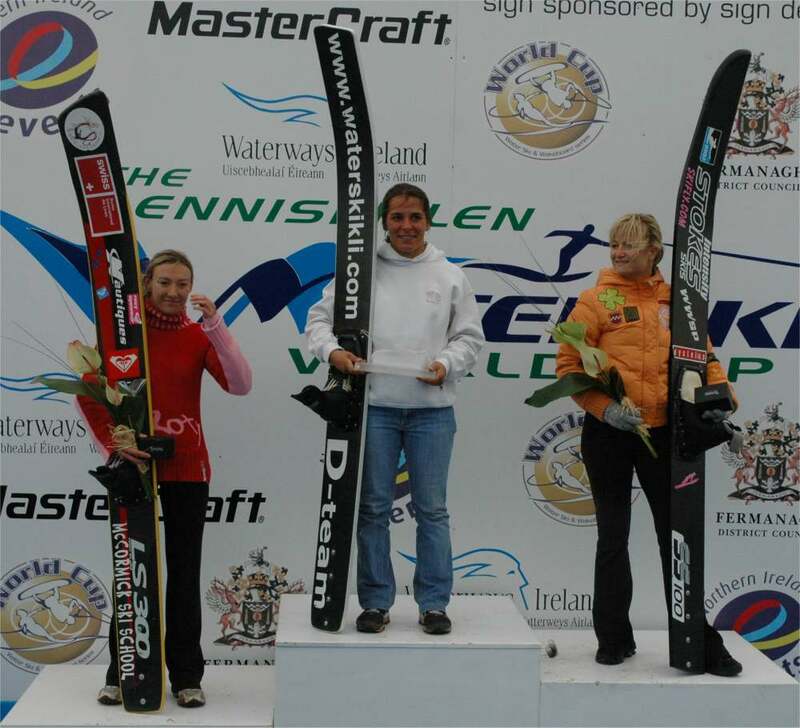 07Nov05 Clementine Lucine FRA reportedly breaks the overall World Record at McCormick's by skiing 2@10.75, 8390, and 50.7m. 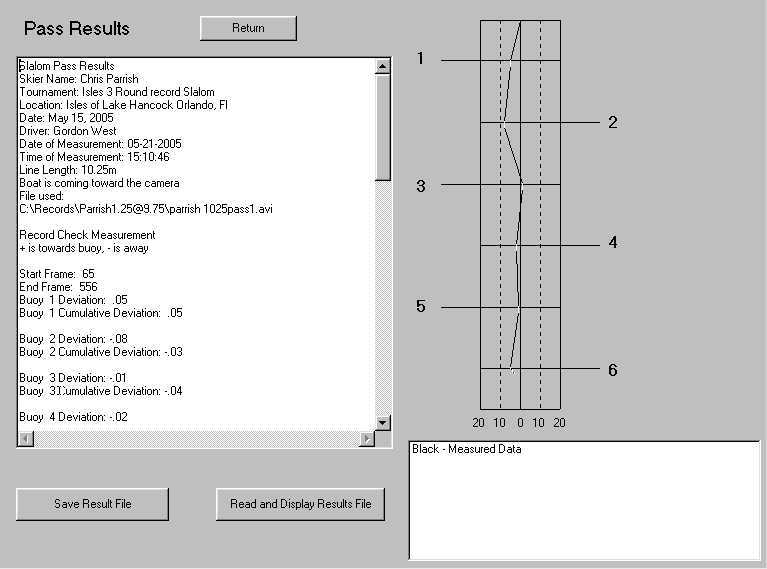 This would also be a new EAME trick record. 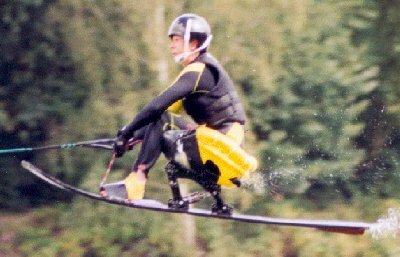 The jump was at the Rocketman Record at the USAWaterski Headquarters Lake. The event was very successful with international representation. Following its approval by WADA's Executive Committee on September 20, the 2006 List of Prohibited Substances and Methods is now available on WADA's website (www.wada-ama.org). Sunday was good as Saturday was difficult. The winds stayed fairly calm and from favorable directions and the sun visited quite frequently. 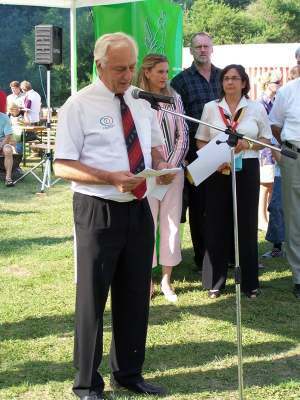 All of the events were completed in front of an enthusiastic crowd.The event webcast continued today. 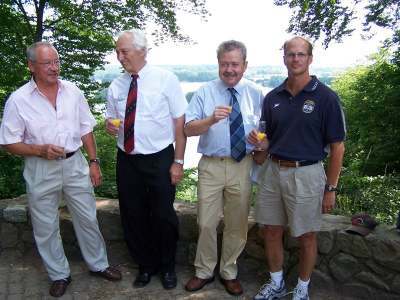 A final night banquet was enjoyed by all. While the conditions were good at the start of today's World Cup action for women's slalom, weather conditions began to seriously deterioriate at the start of men's slalom. Although the first half of the course was relatively sheltered in the channel, the second half was in rough windy conditions. 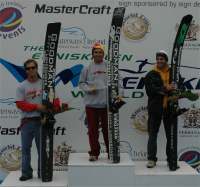 In an unprecedented occurance, eight skiers tied a 2@12m to make the finals. And the 2@12 was no gift. 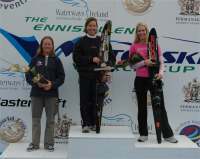 Many of the most talented skiers in the world were happy to achieve that score to make the cut. The conditions continued for the trick event. The men contested the event in the cold, windy, and rainy conditions and achieved some very good scores. 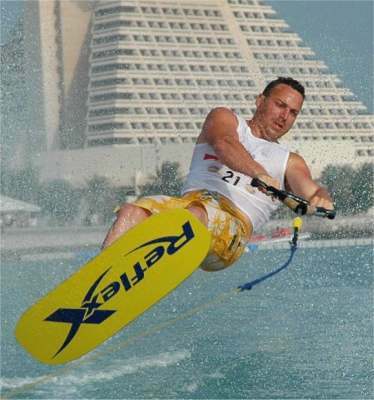 For jump, the conditions with a stiff tailwind led the officials to decide to just have the finals on the next day. 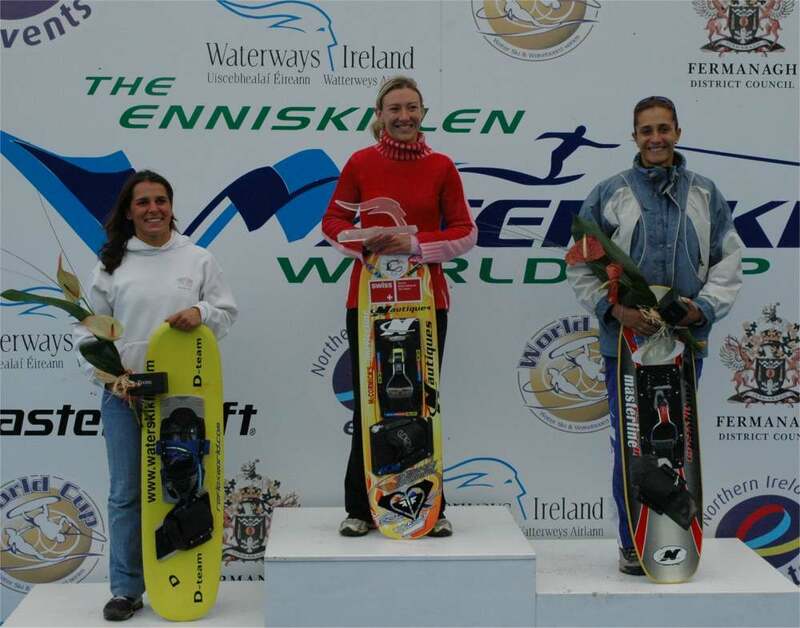 June Fladborg and Angeliki Andrioupoulou, World Jump Champion, put on a jump demonstration for the appreciative crowd. After they skied, the men were going out also, but the rain finally came down too hard to continue the event. The weather forcast for tomorrow is much improved and it is anticipated that the event will finish in better conditions. 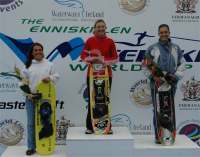 A chilly day of practice on Friday has prepared the World's top skiers to contest the World Cup Titles in Enniskillen, Northern Ireland. 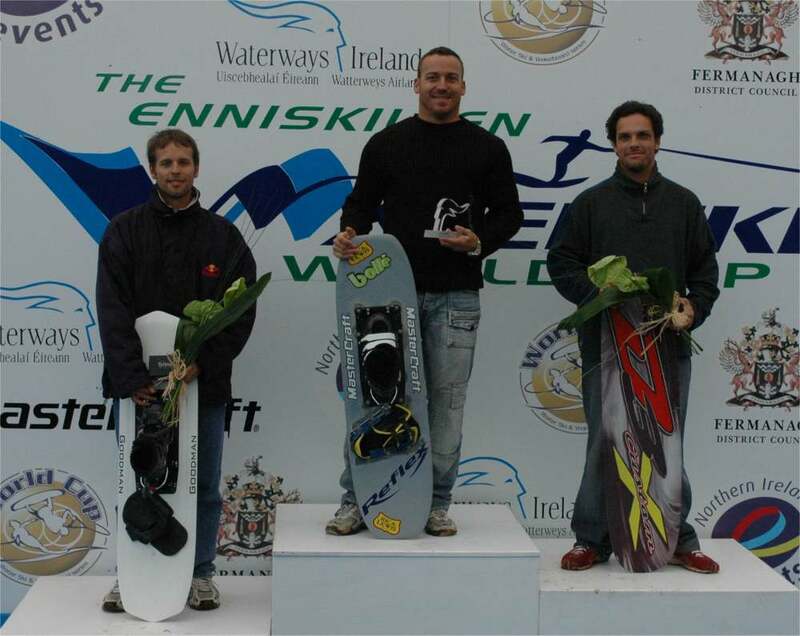 The competition courses are fitted in to a channel in the Erne River between Castle Island and the main island in the river which is the town of Enniskillen. At one end of the channel, Enniskillen Castle provides a dramatic backdrop. 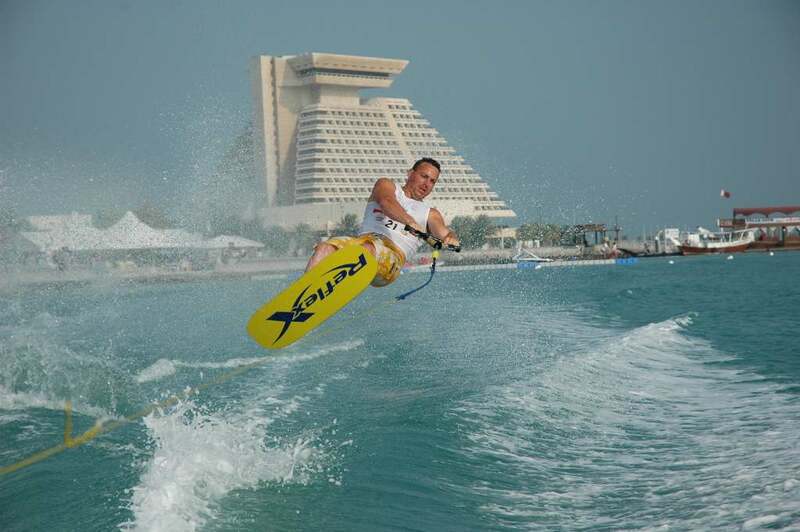 The winners of the first World Cup stop in Dubna, Russia will be attempting to carry forward their success to gain the World Cup title. 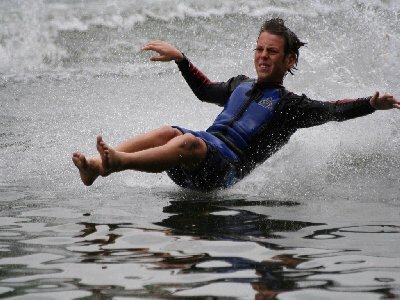 The ODEPA Executive Board has confirmed that that Water Skiing will be part of 2007 Pan American Games in Rio de Janeiro. 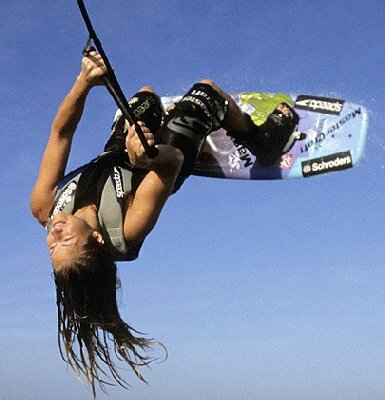 The proposed IWSF Technical Rules include also Men's and Women's Wakeboard. 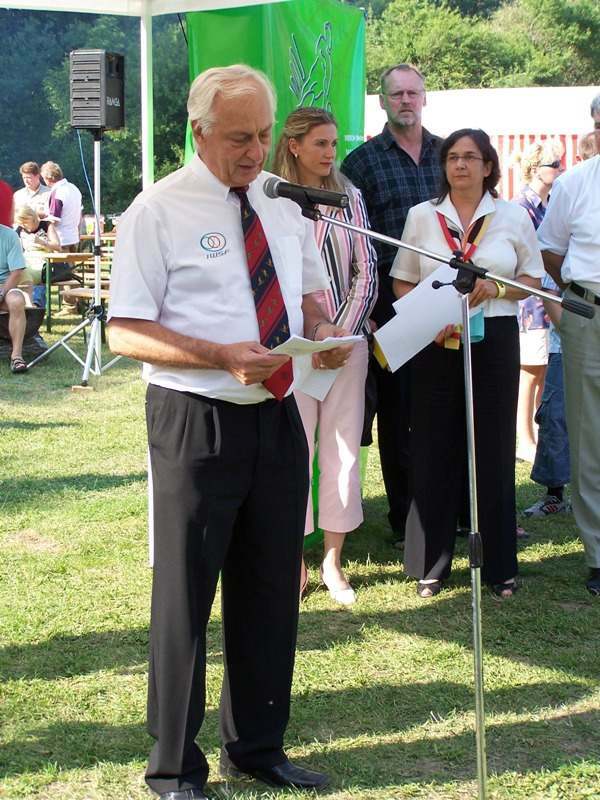 At the World Congress in China Kuno Ritschard was reelected for another 4 year period as President of the IWSF. 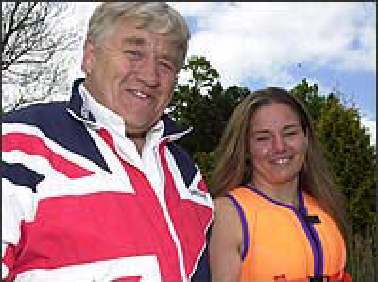 His new Secretary General will be Gill Hill from Great Britain. 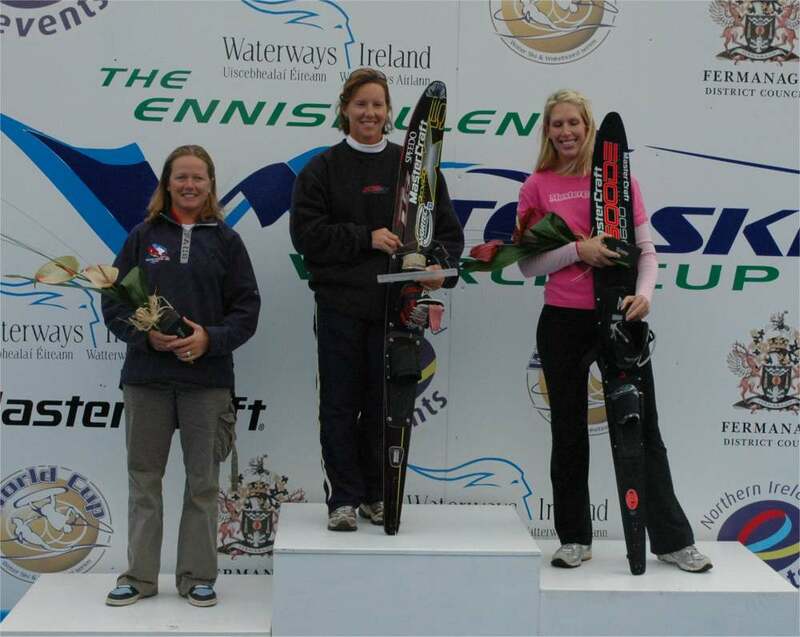 Gill has worked for 20 years as Excutive Director for British Water Ski and she has a wide knowledge of our sport and a big experience with all the disciplines. The delegates confirmed also Chris Howarth as Treasurer and Max Kirwan, Alain Amade and Jim Grew as Vice-Presidents. The proposal of the Executive Board to create a Women and Sport Committee and a Development Committee has been approved. 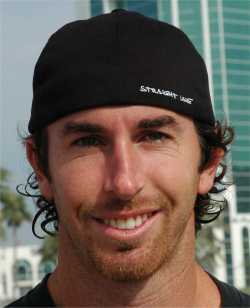 Click here to go direct to the live chat room. 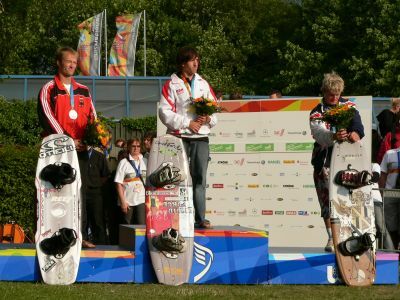 The German Waterski Federation is distributing a DVD with waterski, barefoot and wakeboard (boat & cable) at the World Games 2005 in Duisburg. 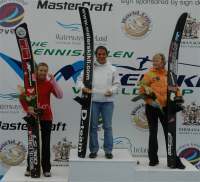 The tournament started under bright sunshine and excellent skiing conditions. Click on the logo to go to the Official Event Web Site. 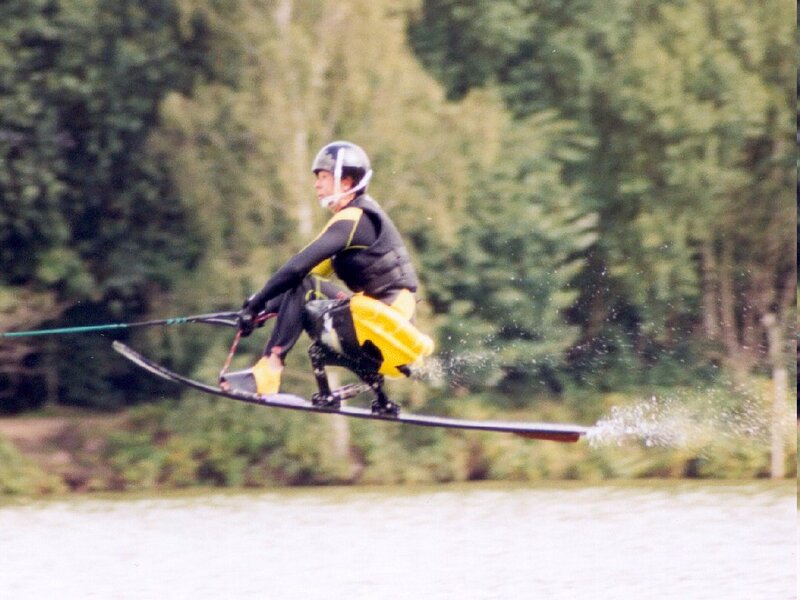 The performance was at the Trophée International de Losne-Chaugey trick event in France. 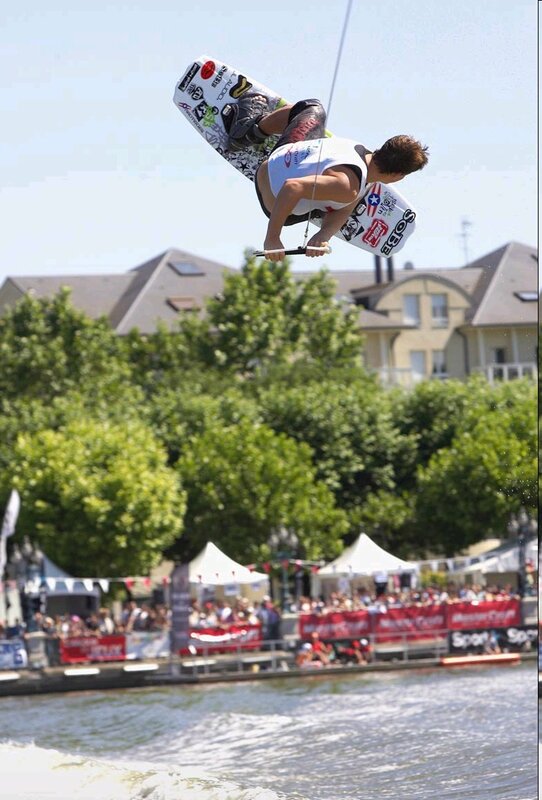 03Jul05 Nicolas Le Forestier scores 12 320 points in todays mens trick final at the French Masters to tie with his current world record. 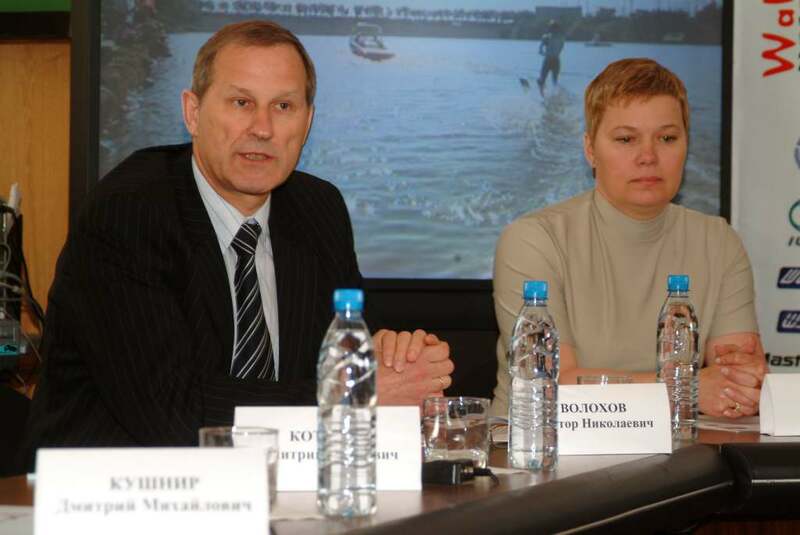 A press conference was held in Moscow to present the World Wakeboard Championships and the Wakeboard World Cup in Moscow and the Waterski World Cup in Dubna. 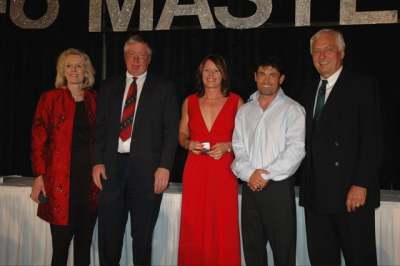 IWSF President Kuno Ritschard presents Emma Sheers AUS and Jaret Llewellyn CAN with their commemorative rings for being IWSF 2004 Athletes of the Year at the Masters. 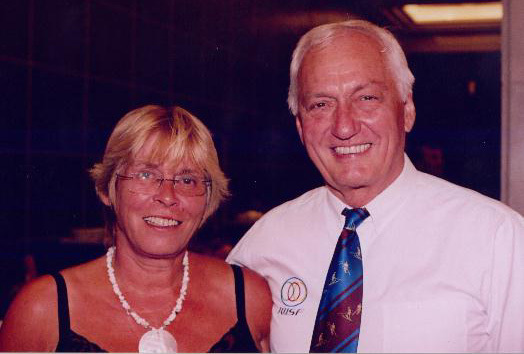 IWSF President Kuno Ritschard took the opportunity at the Masters tournament to make the final 2004 World Cup Trophy presentations. 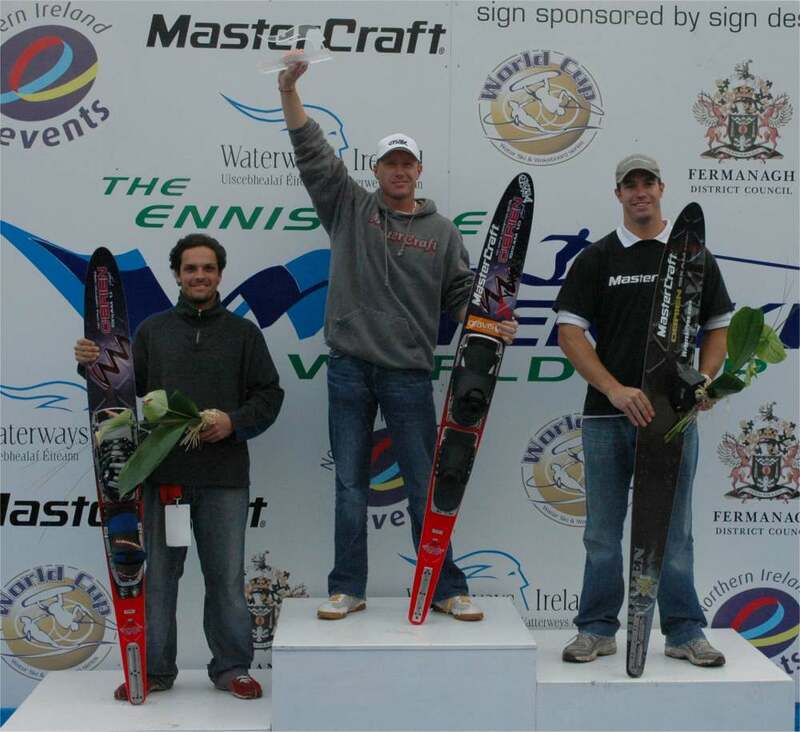 Freddy had one jump left to win the event which pushed him on to a record achievenment establishing a new course record and pending World Record. If approved, it will be the 6th Men's Jump World Record at The Masters tournament. 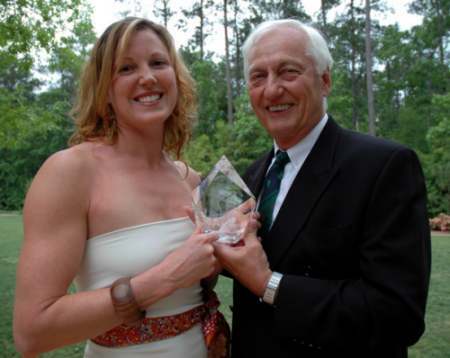 Kristi, in a heart felt talk, thanked her supporters and sponsors for their help in her 20+ year carreer. 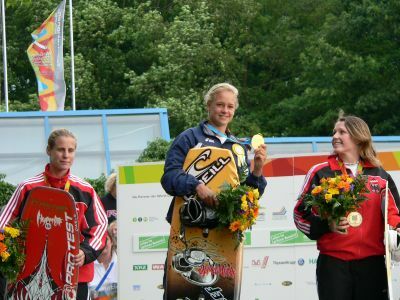 Although Kristi has not competed since 2003, she still is the current slalom World Record holder. 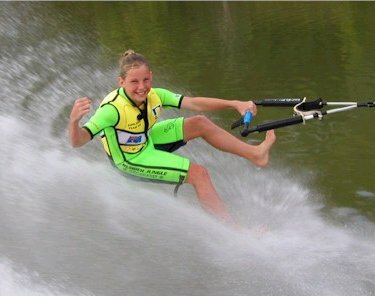 The Webcast, presented by Jeff Carroll of PlanetNautique.com was a huge success. If you had broadband, it was like watching a live TV show. 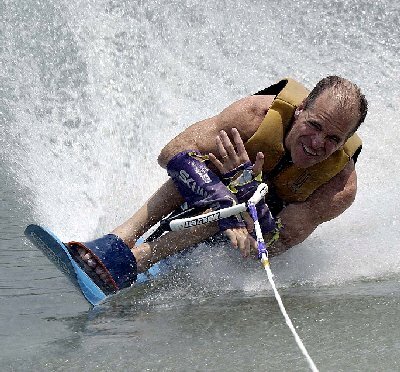 Look for this technology to catch on in the water ski community. With this performance, Chris breaks an eight year old mark. Here is some of the record analysis. Reports from Sunset Lakes (Jack Travers' site) have Freddy Krueger USA exceeding the current official record of 71.9m by Jimmy Siemers USA. Andy Mapple contacted iwsf.com to say that he has not entered the Masters and is still definitely retired. 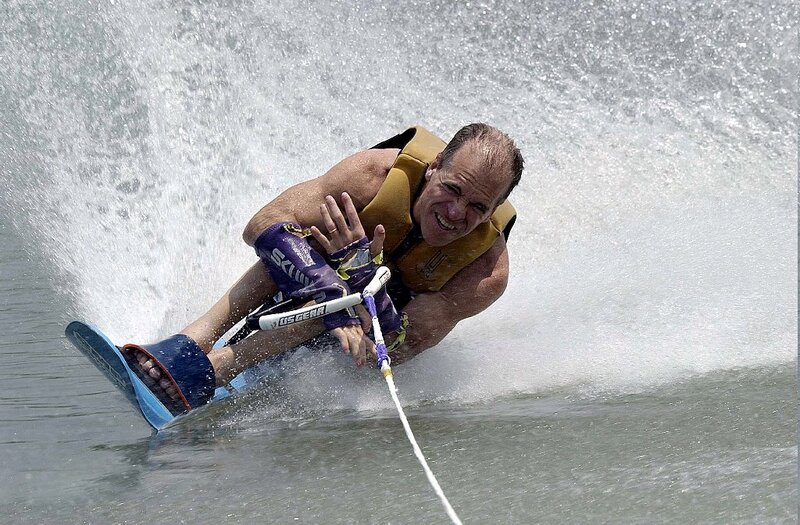 Chris is the first skier to exceed Jeff Rodgers' 8 year old mark. 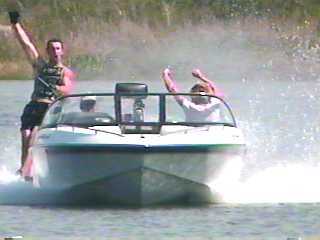 The performance was at the Isles Record Slalom tournament at the Isles of Lake Hancock in Winter Garden, Fla. 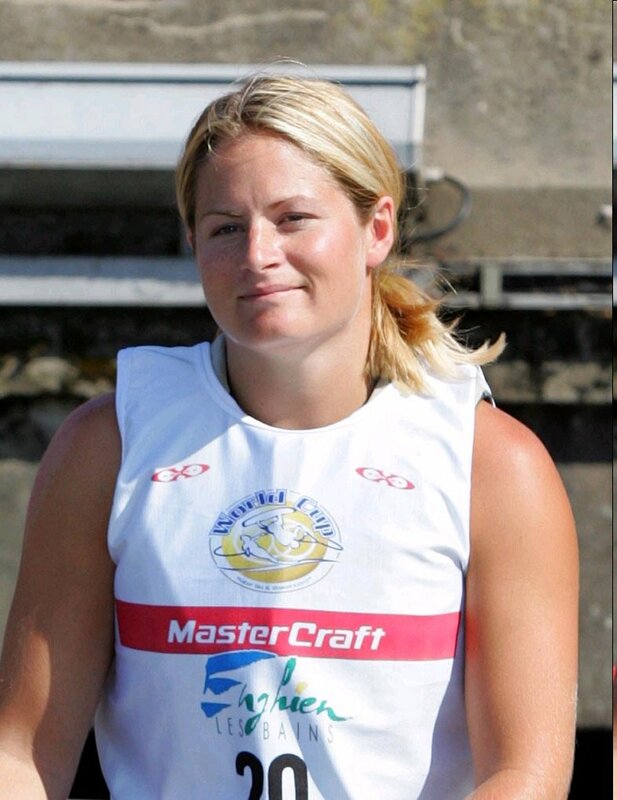 Please pay special attention to overall It needs to be finalized for the U21 Worlds. This was done as quickly as possible, so please check carefully. 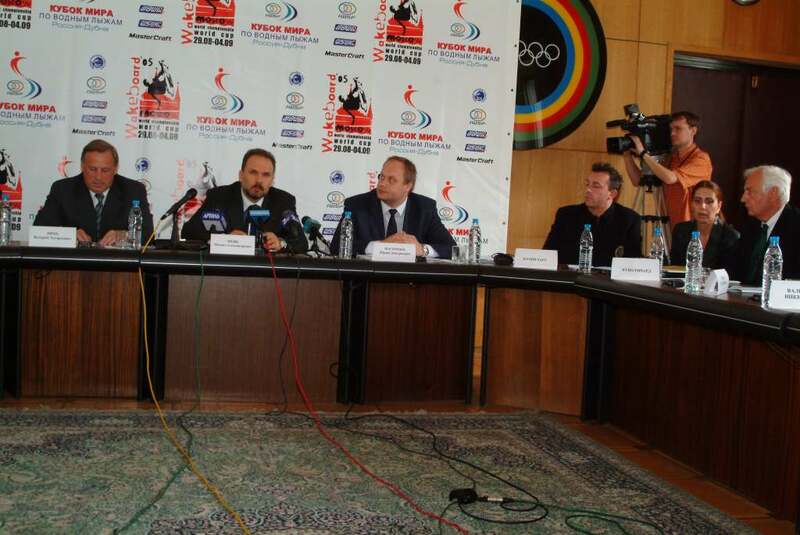 It needs to be finalized for the U21 Worlds.